Since swinging open its glamorous doors in June, the Waldorf Astoria has established itself as a go-to for locals and travelers looking for luxe. 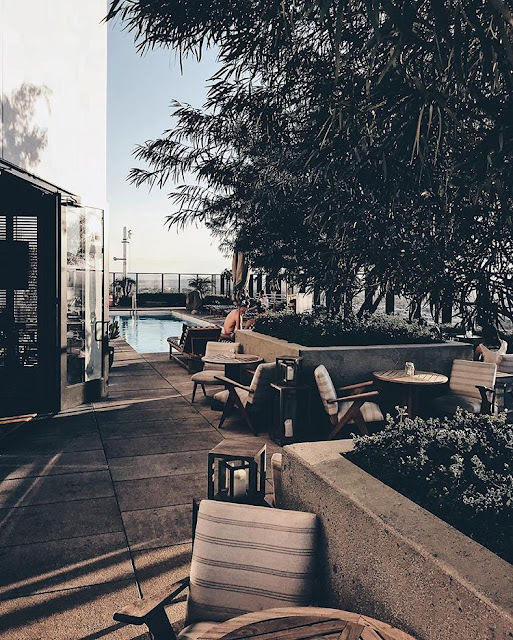 Slip your way across the hotel’s marble lobby and ride the elevator up to arrive at Rooftop by JG, a chic all-day spot with one of the city’s poshest views. The JG in question is Michelin-starred Chef Jean-George Vongerichten, of course, who helms the hotel’s main dining room, and here gives his touch to the light dishes (eggplant fritters with honey and manchego, tuna tartare with avocado, radish, and ginger marinade) you’ll snack on while enjoying your drink. Climb the stairs of this WeHo favorite past the second-floor dining room, E.P., and — after pausing for a selfie in front of that signature wallpaper — emerge onto the twinkle-light-strung, fire-pit-warmed roof deck known as L.P. A selection of dishes inspired by Asian street food is on the menu throughout the evening hours to accompany a list of creative cocktails, all of them available in single-serving ($16) or party-sized ($80) versions. Not a night-owl? Swing by starting at noon on weekends to soak up some sun. 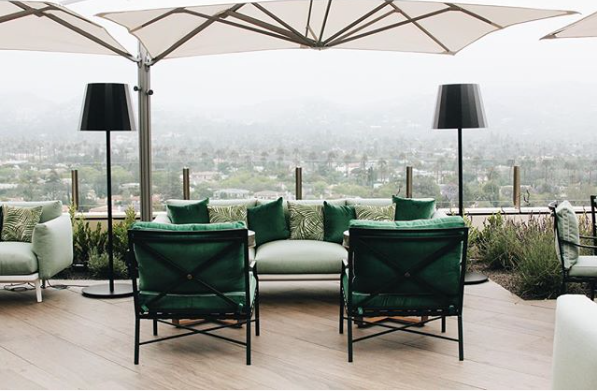 Decked out by design star Kelly Wearstler, Filifera’s gorgeous indoor-outdoor lounge space sprawls out across the top of the Hollywood Proper Residences, an upscale apartment building. Since it’s a private building, you’ll need to contact the bar in advance to have your name put on the list. Check in with the front desk, and then proceed up 22 floors into the sky, where you’ll be treated to some of the most impressive mountain and city views around, as well as a casually elegant scene, blissfully free of the crowds that can clog up other hotspots. Perched atop the Tao Group’s hospitality and nightlife concept, The Highlight Room at Dream Hollywood is open only to hotel guests by day, but at 8 p.m. it opens all 11,000 square feet of rooftop pool deck, lounge, and grill to the public. 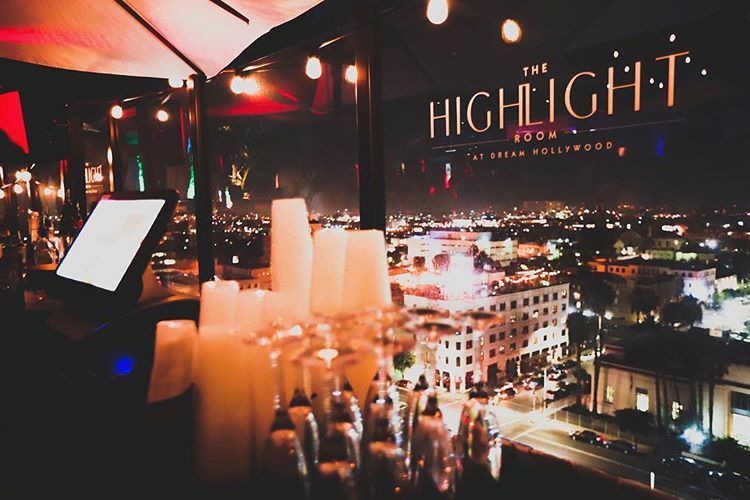 The tented lounge space hosts big-name DJs spinning late into the night, and the Hollywood nightlife scene comes out to play. On weekends, the space hosts some splashy (dare we say, Vegas-esque?) 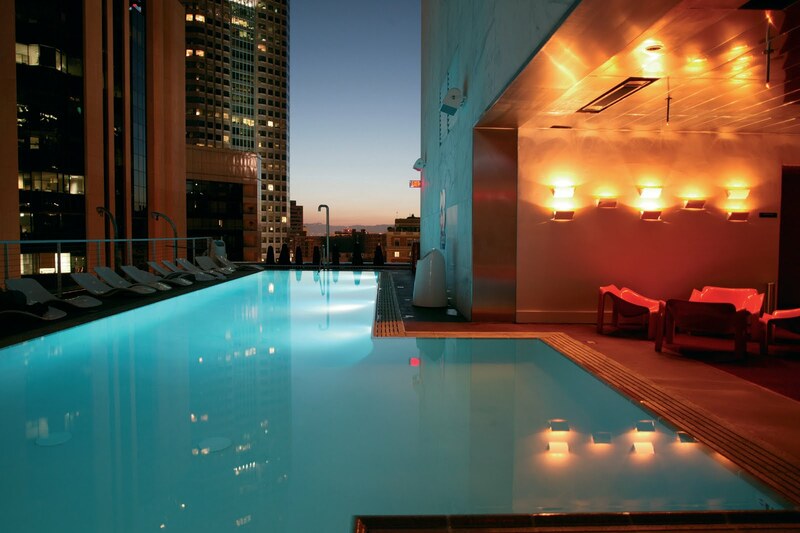 daytime pool parties, which are open to locals by RSVP. 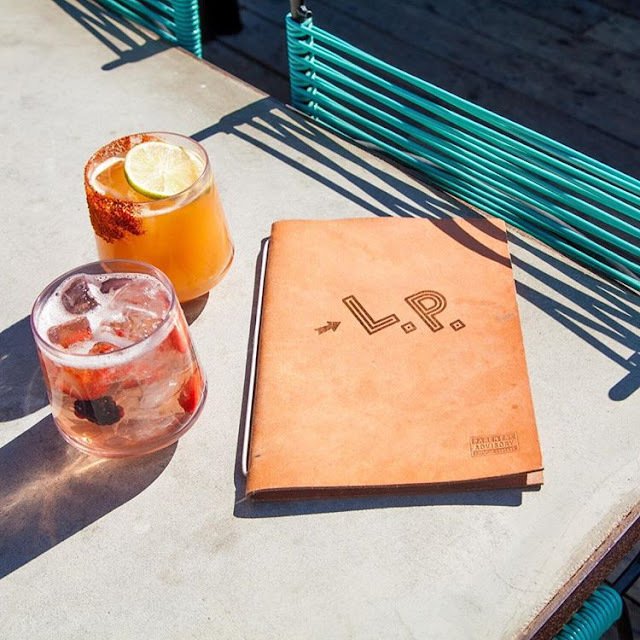 Long a favorite hang for Downtown’s hip locals and visitors, the rooftop bar at the Ace stays fresh by frequently updating its menu, and hosting art shows, pop-ups, and events, and turning over the decks to a rotating cast of DJs who keep the party flowing, from low-key daytimes when artsy types take lunches and laptops, to more swinging nighttime shindigs. Cast your eyes over the edge of building, built in 1927 and dripping with vintage charm, to enjoy a view of DTLA that, in the right light, might recall Raymond Chandler’s noir era. This colorful, cheerful rooftop works for just about any occasion, from a dinner date to a big group gathering to setting up solo with your laptop in the middle of the day. Whatever brings you up, you’ll be met with iconic Hollywood views, upbeat décor, and light all-day fare. There are even thoughtful, flavorful “mocktails” on the menu, for the non-drinkers in your crew, and foosball tables if you somehow get bored of gazing out at the wrap-around skyline. Why drink at just any rooftop when you could drink at the highest roof lounge in the entire hemisphere? 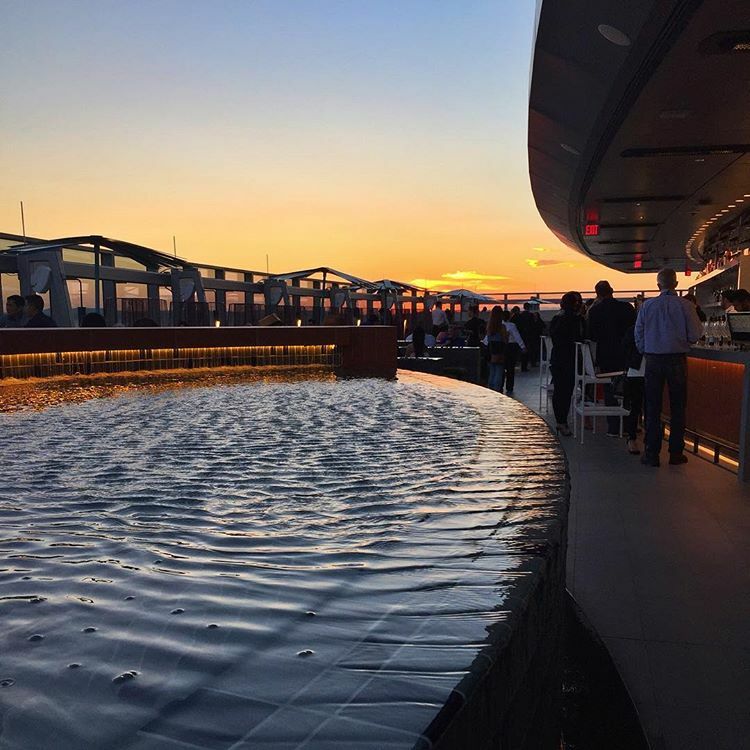 Perched on the 73rd floor of the just-opened Wilshire Grand tower inside the InterContinental Los Angeles Downtown hotel, you’ll practically be looking down on airplanes while you drink in this futuristically-designed space. 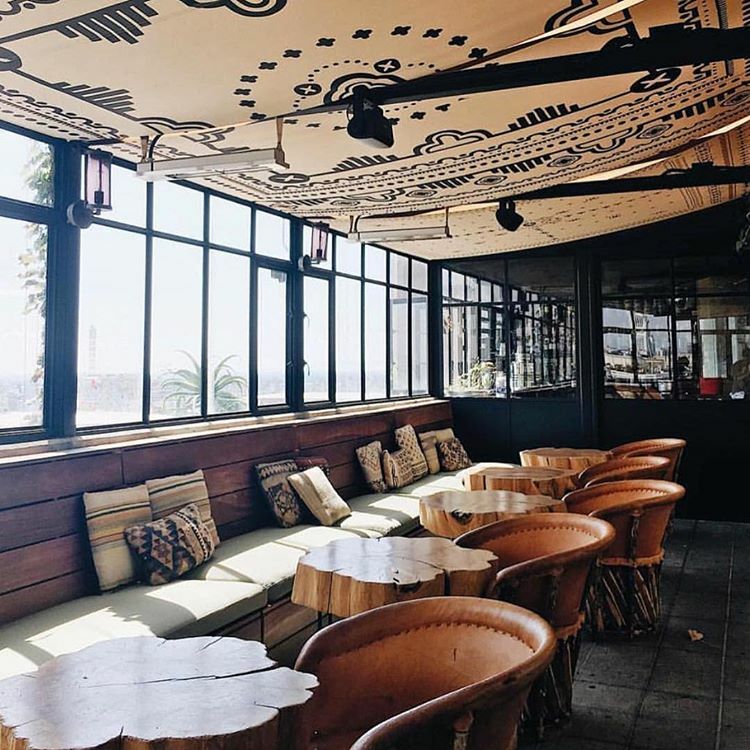 There are water features, fire features, multiple lounge areas, and a can’t-miss whiskey list, so pretty much all the bases are covered. Unless you’re afraid of heights, in which case, we’re impressed you made it this far into the article. 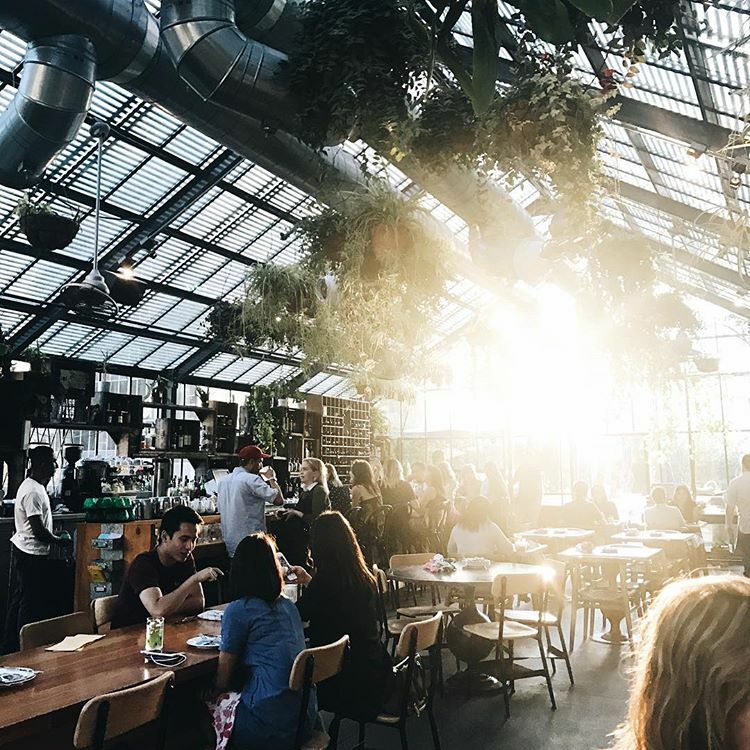 Roy Choi’s most elevated dining room takes the form of a stylish version of a greenhouse that appears as if it was plopped down on top of Koreatown’s LINE Hotel from a helicopter. Impressively, the beloved chef’s veggie-centric dishes are pretty enough in their own right to stand up to the eye-catching décor. If you’re not sitting down for a full meal, you can still grab a bite or one of the bar’s signature gin-and-juice cocktails made with seasonal produce. 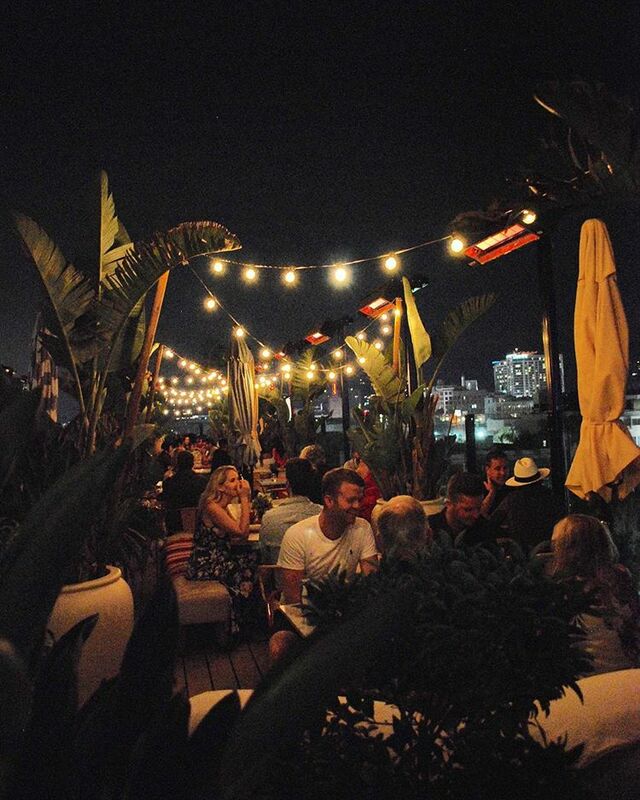 Most of L.A.’s rooftops can give you views of glittering city lights, but this one also offers Pacific Ocean breezes. 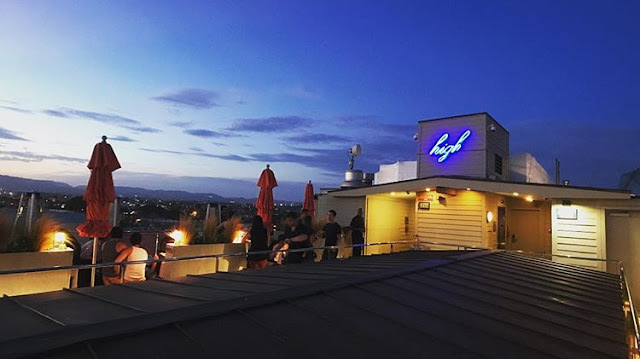 High Rooftop Lounge is the only rooftop bar in Venice, making it a hot property among Westside imbibers. Order a glass of trendy Frosé (the rosé wine slushie made here with grapefruit rum, lemonade and peach puree) or classic Paloma to enjoy along as you watch the sun set over the beach. On chilly evenings, glass-enclosed fireplaces are perfect for cozying up.